Love worship that speaks to Christian life? The highly anticipated new studio album from Amy Grant is finally here. Three years in the making, Simple Things shines as one of Amy Grant's most vibrant projects to date. On Simple Things, Amy gets transparent, reflecting a woman who, like all of us who've struggled with life choices, is amazed by newfound mercy and healing. Well-known as one of the most creative writers in Christian music - Amy co-wrote eight of the ten songs on Simple Things - the album balances light-hearted relationship songs with deeply moving songs of faith and reconciliation. To date, Amy Grant has sold over 22 million albums world-wide and is recognised and received as Christian music's most celebrated, most visible and most commercially successful artist. 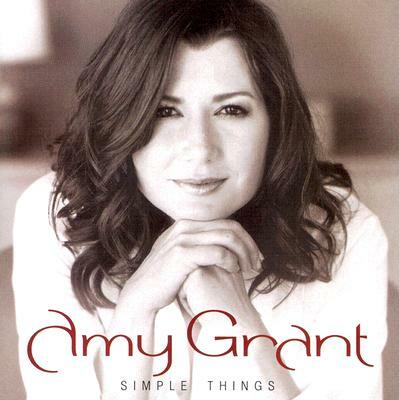 Simple Things CD by Amy Grant was published by Word in August 2007 and is our 13475th best seller. The ISBN for Simple Things CD is 0080688624828. Be the first to review Simple Things CD! Got a question? No problem! Just click here to ask us about Simple Things CD. I could not tell from the description. A:This is a CD. Thank you for using the Q&A Forum. Now Playing: Happy Your browser does not support the audio element.